In addition to running my own blog, I often can be found at other sites and blogs around web like The American Student Dental Association's (ASDA) Mouthing Off blog or at THE NEXTDDS blog site. 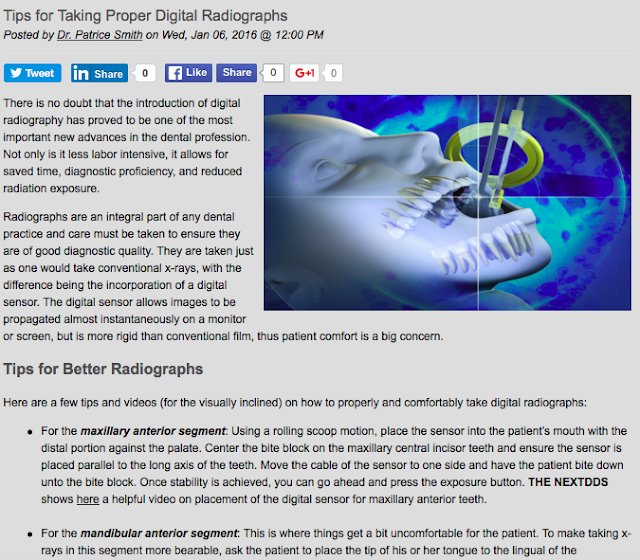 Recently I wrote a piece about Digital Radiography and laid out some tips for taking them. Find the rest of the article on THE NEXTDDS blog here.